The Atari 2600 was released in October 1977 by Atari,inc with a price of $199.00.The 2600 was typically bundled with two joysticks, a conjoined pair of paddle controllers, and a cartridge game (Combat). 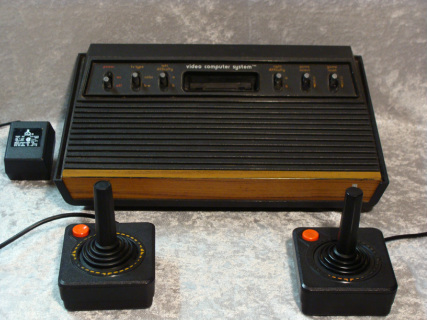 Originally sold as the Atari VCS it was renamed the Atari 2600 after the console part number CX2600. The first VCS nicknamed "Heavy Sixers" because of it's added weight to the console, and because all six switches were on the front was manufactured in Sunnyvale, CA . After the first year, the production moved to Hong Kong, and the consoles manufactured there where lighter had thinner plastic molding.